Devotees of LewRockwell.com are strongly urged to purchase and read my latest book — Conservatism in America: Making Sense of the American Right — which Palgrave-Macmillan has just brought out. Since the neocon-liberal powers that be are not likely to call attention to this work, even for the purpose of insulting me, self-praise may be necessary for generating interest. My study examines the postwar conservative movement from the 1950s to the present. Unlike earlier investigations of this topic, I contrast the claims made about American conservatism by various partisans to the actual historical record. 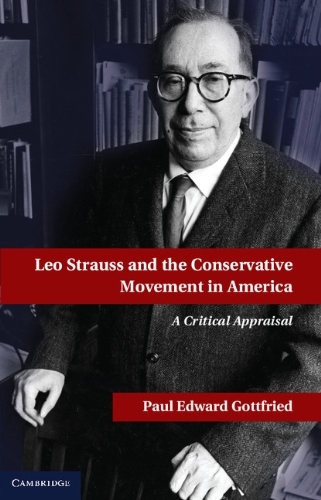 The view put forth in my book is that our establishment Right has more in common with the American left-center, than it does with European conservatism, Taft Republicanism or any other political position to which the movement under discussion has been erroneously likened. Its leftist connection seems to be an integral part of its evolving history, and perhaps that part that is most relevant for making sense of my subject. 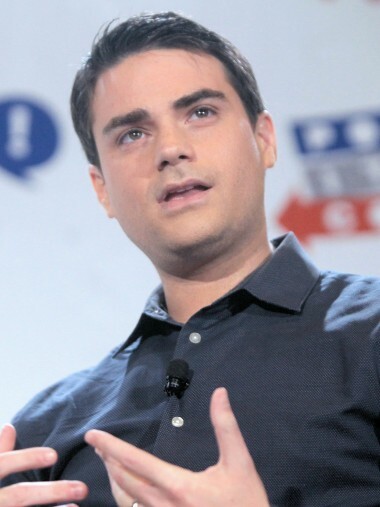 Movement conservative pundits get along tolerably well with liberal journalists; indeed in the 1980s their movement allowed itself and even ran to be taken over from the left, during the neoconservative rise to power. What Murray Rothbard called “the stench of European conservatism” in the postwar conservative movement was really the perfume by which Murray’s enemies hid their tracks, as they pushed leftward over the decades, from Taft Republicanism to Rudy Giuliani. 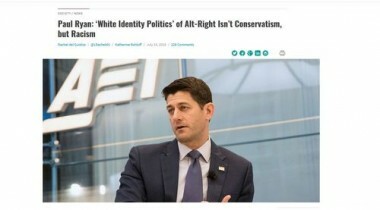 But this increasingly empty and ahistoric appeal to a European tradition of political permanence and permanent values was only one arrow in the conservative movement quiver. There were other themes stressed to justify certain accommodations by the respectable Right with the welfare state. And these themes and issues were brought up to enforce group discipline, by flinging those who didn’t quite fit “off the bus.” Not incidentally, Murray Rothbard, I and droves of other people were flung off the movement conservative bus for not being sufficiently receptive to changing party-lines. One of the most effective truth-foggers applied by movement honchos has been to claim that they stand for “values,” unlike the folks situated on the old Right and on the left who are just plain moral relativists. Despite the silliness of this claim, it has yielded enormous dividends for its opportunistic users. “Values” have become a substitute for historical reality and for traditional constitutional restraints on public administration. They have also permitted a swelling band of DC operators, foundation fundraisers and talk show hosts to present themselves as standing above conventional human attachments and legal arrangements, as representatives of a transcendent moral order. These spokespersons have talked up “human rights” and propositional nationhood, and they can point to such supposedly value-laden heroes as Abraham Lincoln and Woodrow Wilson, who acted extra-constitutionally for what is imagined to be the higher good. This value game is a multipurpose pastime. It allows its users to privilege their own values or else to attach significance to private or ethnic sentiments, as manifestations of a higher moral consciousness. Thus one can justify the firebombing of German and other Central European civilians and the destruction of Dresden toward the end of World War Two, as John Podhoretz recently did in the New York Post, as a necessary test of ones dedication to democratic values. The real reason Podhoretz is delighted about these acts of incineration is presumably the anti-Semitic brutality of the Third Reich: he holds all Germans then and now, as far as I can tell, responsible for the Holocaust. People are of course entitled to their resentments, but the conservative movement has had the tendency to privilege such idiosyncrasies as acts of moral affirmation. Moreover, movement conservatives do not hesitate to raid the Left’s values, e.g., by elevating equality to the rank of a premier “conservative value.” This is the characteristic shtick of Harry Jaffa and his swarming apostles in government and journalism. Note that my book discusses these personalities in detail because they illustrate the attempt to create “value conservatism,” one that is neither conservative in any traditional sense nor particularly attuned to America’s real liberal tradition. Such value-impositions, undertaken in the name of defending eternal truth, have been accompanied by historical distortions of a magnitude that struck me with some force as I was doing research. Striking statements that one encounters again and again in the Washington Post and Wall Street Journal about how the old Right had to be cleansed of Nazis and anti-Semites and about how a movement once inhabited by bigoted rubes was enhanced by New York Jewish intellectuals (a claim one finds repeated in every chapter of Murray Friedman’s much touted hymn to his pals The Neoconservative Revolution) do not bear even the slightest semblance of truth. They exemplify what Hitler praised as the “big lie,” although in this case it is impossible to control that lie because of the extent of the neoconservative support system. 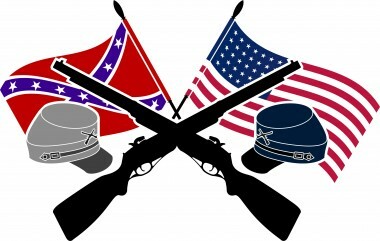 That system of support extends from a zombie army of conservative movement followers, who generally believe what they are told in an extremely limited information environment, to liberal journalists, who consider the neoconservatives to be congenial discussion partners, whom they would never trade for a more genuine right. My book also brings up the Dittoheads and Sean Hannity—Ann Coulter groupies, the conservative movement rank-and-file and fellow-travelers for whom the text of the Weekly Standard would be too much of an intellectual stretch. Because of periodic purges and a generally intolerant attitude toward internal debate, the conservative movement has dumbed itself down. It might be an injustice to American Communists, as I point out even while drawing limited parallels, to compare them too closely to our present-day slogan-parroting “conservatives.” American Communist party members were generally far more intelligent than those taking their cues from Jonah Goldberg, Ramesh Ponnuru and John Podhoretz. It is also the case that some Communist members became disillusioned when the Soviet government acted in a way that was inconsistent with its Marxist-Leninist principles. Movement conservatives, by contrast, have had no problem going with the flow, telling us one day that Martin Luther King was a dangerous Communist agitator and soon afterwards that he was a Christian theologian and paradigmatic conservative thinker. It is even a bit of a drop going from the founders of National Review to its present editorial staff, which is neither recognizably on the right nor noticeably educated. The present generation of movement enthusiasts extol a “Reagan Revolution” that never occurred; and they generally show remarkably little knowledge about the supposed history of a “conservative mind” of which they claim to be in some sense the continuation. Lest I give too much of my story away, I’ll stop at this point. But among the advantages of reading me is that one might understand why the FOX interviewer looked puzzled when Ron Paul refused to identify himself with the antiwar left. Even more surprising for the interviewer was the congressman’s insistence that “I am part of the old right; I’m a Taft Republican.” When Ron said that without pretending to be a global democrat or an enemy of Islamo-fascism, the FOX-lady obviously thought she had met a Martian. One should also read my book to see if one agrees with the distinctions drawn between “value conservatives” (of which I do not claim to be one) and such terms as “classical liberal,” “rightist” and “cultural traditionalists.” Readers should pay close attention to my extended comments on the “politics of values.” They may learn why this gibberish causes me gastro-intestinal discomfort. Those interested in my book, which is available for distribution, may order it from Amazon.com.